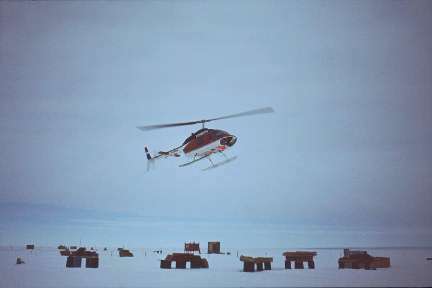 Mid February: helicopters from a Norwegian expedition on Andenes visit. Field party crossed the hinge zone and launched radio sonde balloons from the plateau. 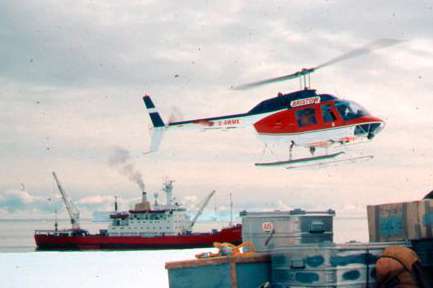 The other one crashed near Halley on 5th January 1985 and was a write-off. Fortunately the crew were not seriously injured. Halley IV built 1982-83 showing station complex after first year of scientific operation. Two storey buildings were constructed inside four interconnected plywood tubes with access shafts to the surface. 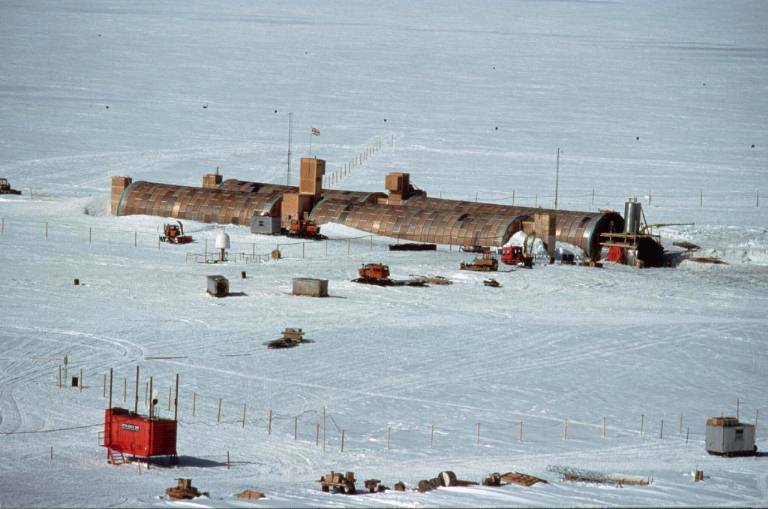 The tubes were 9 metres in diameter and consisted of insulated reinforced panels designed to withstand the pressures of being buried in snow and ice. Replaced by 1989. From the BAS image library ref: 10004222; used with permission. No unauthorised copying. Appears to be dated 28 Feb 1985. 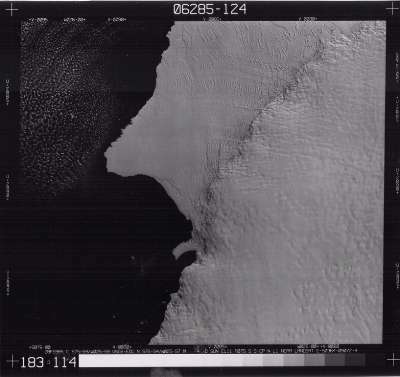 Mobster Creek, Windy Creek and Ginbottle are all quite distinctive, as is the hinge zone. Click on the picture for a larger image.